This package is identical to the burial package titled Complete Funeral Service with Casketed Burial, however the only difference is instead of taking the casketed deceased to the cemetery following the conclusion of the funeral service, the deceased is taken to our on-site crematory to be cremated. 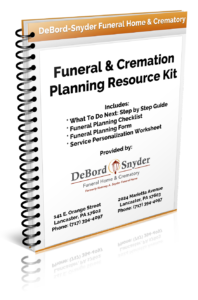 This package is ideal for those who are interested in a cremation but would like to allow the decedent’s family and friends to have a public viewing first. Includes: basic services of funeral director and staff, transfer of deceased from the place of death into our care, embalming and complete preparation of the body, dressing, cosmetics, basic hair styling and casketing of the deceased; up to 30 minutes of a private viewing/visitation prior to the public viewing/visitation, up to two hours of viewing/visitation, and funeral service/ceremony. 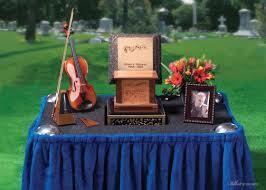 Also included are necessary funeral vehicles, guest book, and thank you cards. Cash advance items, merchandise (if applicable), and crematory fee not included. 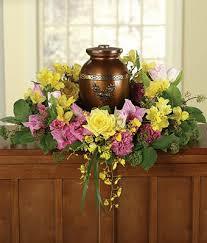 A memorial service allows for family and friends to honor the deceased with a service without the body present. The only true difference between this package option compared to the above mentioned Viewing and Service Followed by Cremation, is that the body is not present. Includes: basic services of funeral director and staff, transfer of deceased from the place of death into our care, minimum sterilization for private family identification during normal business hours (up to 30 minutes), up to two hours of visitation, the memorial service/ceremony, and committal service (if applicable). Also included are necessary funeral vehicles (if applicable), basic cardboard cremation container for the body, one day of refrigeration, guest book, and thank you cards. Cash advance items, merchandise (if applicable) and crematory fee not included. This package consists of a service held at the cemetery only without the body present. Includes: basic services of funeral director and staff, transfer of deceased from the place of death into our care, minimum sterilization for private family identification during normal business hours (up to 30 minutes), and graveside service. Also included are necessary funeral vehicles, basic cardboard cremation container for the body, one day of refrigeration, and thank you cards. Cash advance items, merchandise (if applicable) and crematory fee not included. The charge for direct cremation includes basic services of funeral director and staff, transfer of the deceased to the funeral home, sanitary care and basic preparation, placement and reposing of deceased for positive family identification (during normal business hours), obtaining of necessary permits and authorizations, obtaining the death certificate from physician or coroner, completion and filing with state registrar, completing and filing Federal forms for Social Security reporting, applying for veteran’s benefits (if applicable) and the basic cardboard cremation container to encase the body, and one day of refrigeration. This charge does not include cash advance items such as the coroner’s authorization fee, the crematory fee for the cremation process, and any merchandise (if applicable).